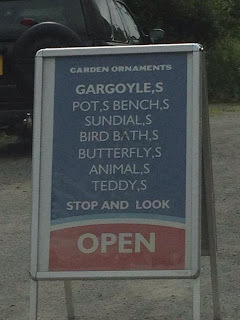 This shop, near Shrewsbury, England, tried to commit apostrophe catastrophes but wound up with comma catastrophes instead. Some people in the Apostrophe Catastrophes Facebook group are calling this one of the worst signs they have ever seen. Thanks to Ian for sending in this instant classic! 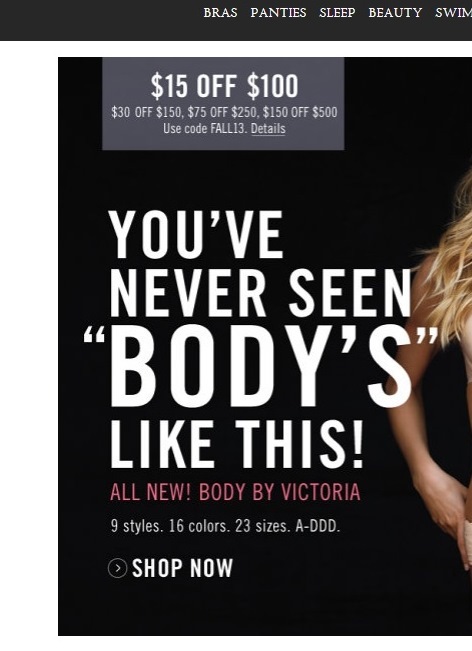 Lynette sent in this shocking apostrophe catastrophe from Victoria's Secret's website. Victoria, here's a secret for you: adding an apostrophe does not make a word plural. And, furthermore, the plural of "body" is "bodies." With the profits you make from your $50 bras, you might want to consider hiring a proofreader.